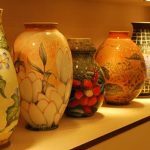 If you are planning your Vietnam vacation, but have no idea about where to go, Yen Bai might be in your consideration. 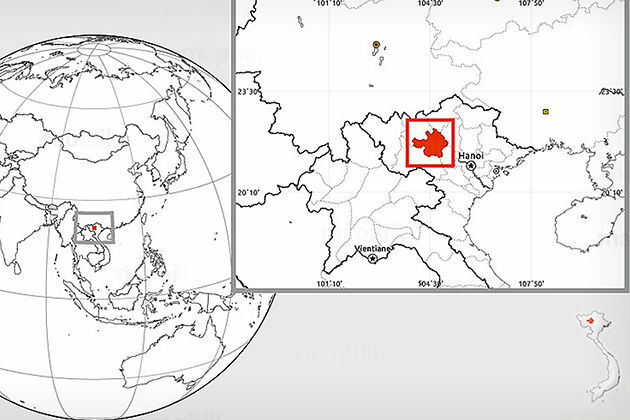 Located on the gateway to North-West Vietnam, Yen Bai shares the border with six provinces. Though as an agriculturally based province, Yen Bai has promising tourism potentials. The province is still new to tourists, as a result, everything is mostly kept unspoiled. Pristine nature and diverse cultures of local ethnic minority groups will enchant your eyes when visiting Yen Bai. 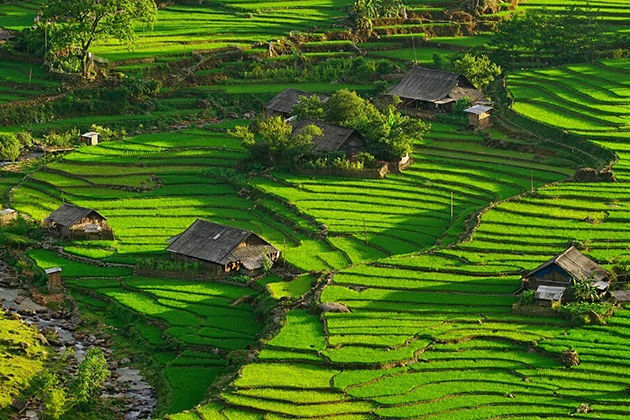 The spectacular rice terraced fields in Mu Cang Chai will conquer the heart of every visitor to come 300 km Northeast of Hanoi, Mu Cang Chai is the most renowned district of Yen Bai province. The district is home to about 700 hectares of terraced rice fields primarily situated on three villages: La Pan Tan, Che Cu Nha, and De Su Phin. Rice terraces stretching from the top of mountains down to small streams create a picturesque landscape. Mu Cang Chai has been drawing many domestic and foreign visitors thanks to its majestic scenery and awe-inspiring beauty. Mam Xoi Viewpoint (Sticky rice hill), Mui Giay and La Phan Tan are considered as the best sightseeing spots to take stunning photos in Mu Cang Chai and these sites are easily approachable by motorbike or walking. Khau Pha pass that connects Van Chan district and Mu Cang Chai district of Yen Bai province is said to be one of the most dangerous roads in Northern Vietnam. Few climbs have formidable reputation as Khau Pha. Along its way of 30 km, there are tight and blind curves that make biking on the pass fun and exciting. The pass is more dangerous as it is often shrouded in drifting clouds and fog. From the pass, you can admire a magnificent view of tiny houses dotted on rice terraces fading far into the distance. Featured as the largest Vietnam’s artificial lake, the poetic Thac Ba covers an area of 23,400 hectares. 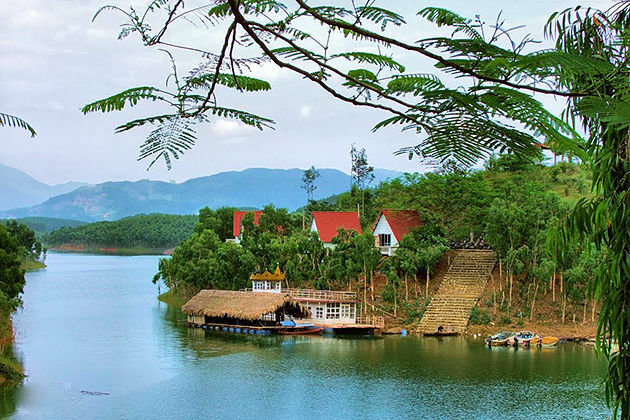 Beside the function in protecting the environment, the lake has become an appealing tourist spot of Yen Bai thanks to its impressively clear blue water and stunning cave systems such as Thuy Tien Cave and Xuan Long Cave. From the peak of Cao Bien – the largest and longest mountain range, visitors have the chance to get bird’s eye view of the misting Thac Ba Lake in the dawn. Nghia Lo is home to about 30,000 people who gather in the flat and immense valley named Muong Lo. The valley is surrounded by the endless ranges of lush mountains and is the habitat of several ethnic minority groups with their diverse cultures and customs. From higher position, the valley looks like a gigantic yellow saucepan embraced by streams and cloud-covered mountains. 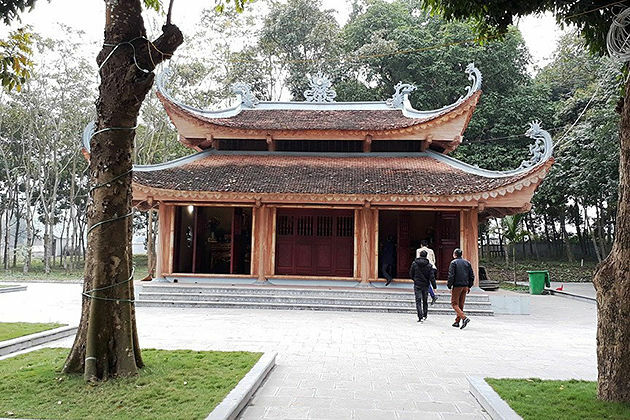 Known as Mau Thuong Ngan, Dong Cuong Temple is about 50km from the city of Yen Bai. It is one of two largest temples in the upper reaches of the Red River in Yen Bai. The temple worships Ve Quoc and the national heroes who drew the Nguyen Mong (Mongolian) aggressor away in the 13th century. Every year, there is a festival is held on 27th and 28th February to pray for a lucky and prosperous year. There are a variety of traditional games such as singing, shuttlecock, wrestling, and dancing also take place in this festival. Suoi Giang that is 20km from Nghia Lo Township is the homeland of old-age tea trees. Located on the height of 800-1000m above the sea level, Suoi Giang is an ideal place for relaxation with the mild climate. Further, it is also suitable for cultural explorers who desire to learn about the authentic cultural life of H’Mong ethnic group. The area near the village of Suoi Giang is worth your visit as it is the place you can see tea trees which are 100 – 400 years old. Local people believe this tea is medicine and call it “medical tea”. Small villages and wooden houses of Thai and Hmong people create peaceful scenery. With amazing ingredients and skillful cooking procedure, Northern Vietnam has the most distinct and mouth-watering cuisine in Vietnam. Below are savory foods that you should have a try in your tour to Yen Bai. 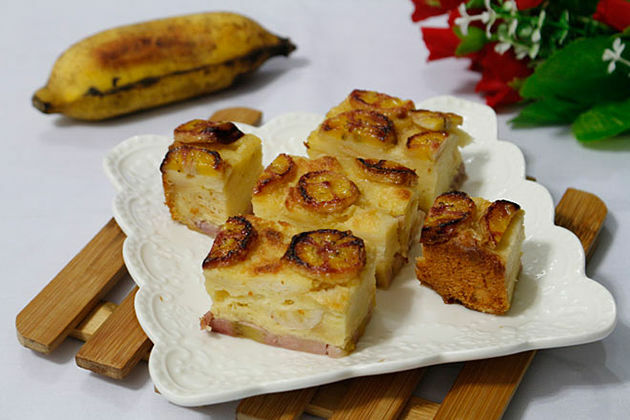 This special sweet cake is made of ripe bananas covered in wet flour and deep fried in boiled oil until it turns golden brown each side. Luc Yen people spend time and skill to make tasty ones. People soak peeled bananas in hot water, ground and mixed with rice powder to coat and finally stuffed with sugar, pounded steamed mung bean and peanuts inside. After the cake is wrapped by banana leaves, it will be steamed for half an hour. Traditionally, the cake is usually served on full moon day or during local festivals. This kind of fish is such pride of Thai people as they only live in Van Chan town. The tender meat and soft bones of these small fishes make them become one of the must-try specialties in Yen Bai. Just walk on the streets, you will see people grill fishes at street food shops. This is a kind of Asian sausage that made of chopped bacon, pepper, sugar, and honey. 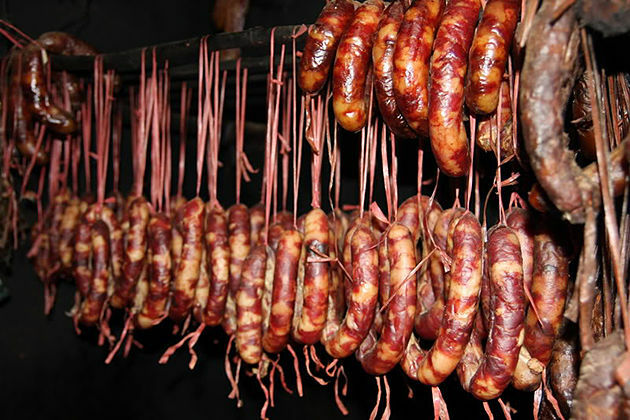 The unique seasonings in Yen Bai repute this special sausage that is dried by charcoal, bagasse, chaff and bay leaf. People often feel the pleasant smoky scent of sugarcane when tasting. Though not famous as it’s of Hanoi, Tu Le green sticky rice is also a food that you should not give a miss when in Yen Bai. Tu Le’s sticky rice is fragrant and tasty thanks to the mild climate all year round and big temperature gap between day and night. As a result, the amount of energy kept in the grains if relative high. 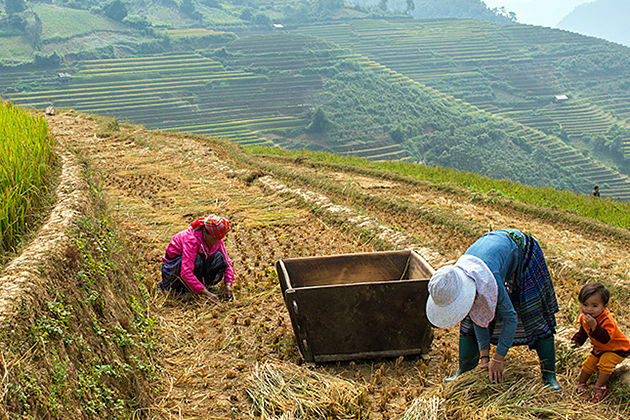 In the Northern provinces of Vietnam, people grow rice once a year due to the severe winter. 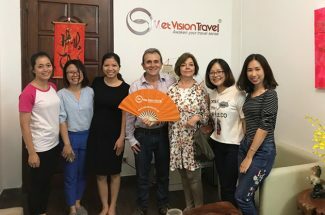 As a result, do not pass up the chance to see the impressive rice terraces in two seasons: the pouring water season in May, the middle of the crop from June to middle of September and the harvest season in late September to early October. In each season, the rice terraces possess unique beauties. In May, water led from the top of mountains creating a gigantic mirror that reflects the clear sky and floating clouds. During this season, you can see lots of old-age activities of local people working on the field, from plowing to harrowing on the field with water buffalos and replanting rice. Hill tribal women work in a group with their beautiful and colorful clothes, which can be great for stunning photo shooting on the field in this time. The whole rice field in Mu Cang Chai is covered by a peaceful green carpet of rice in the middle of the crop. The lush green field might even cool you down in the hot summer days. From the end of September to early October, the rice terraces turn into the bright yellow picture in which spotted by the tiny traditional houses and smiling faces of local people. Mu Cang Chai is located 180 km away from the city of Yen Bai. You can take motorbike, bus or train from Hanoi to Mu Cang Chai. The easiest and shortest way reach Mu Cang Chai by driving a motorbike from Hanoi is follow highway No.12 after crossing Thang Long bridge. Keep driving in Phuc Yen, Viet Tri, and Doan Hung and then go along highway No.70, you will get to Yen Bai province. The great distance of Hanoi and Mu Cang Chai often take you half a day to arrive by bus. You can buy tickets at My Dinh station (if you will start from Hanoi) or Sapa Bus station if you start from Sapa. The average bus fare ranges from 200,000 VND to 300,000 VND per person a turn. Buses start at My Dinh bus station at 20 Pham Hung, Hanoi. On arrival, make sure that you walk to the main building to buy a ticket and stay away from any driver who convinces you to get on his vehicle. On the way, ask the driver to let you get off at Yen Bai bus station. To reach Mu Cang Chai from Yen Bai City, you should wake up early to catch the local bus that departs at 5.30 am. Buses pass by many tea fields and the beautiful Khau Pha pass. You can get around Mu Cang Chai easily by renting a motorbike there. Motorbike for rent is 200,000 VND /day and you probably have to deposit around 2,000,000 VND. From Hanoi, trains usually depart at night and arrive in Yen Bai train station in the early morning. Note that Hanoi railway station has two gates: the main gate located at 120 Le Duan street for South-bound train, and the other located at Tran Quy Cap street for North train to Sapa, Yen Bai). Mu Cang Chai is a rural district in Northwestern Vietnam. Recently the region has opened to tourism purposes, so the services are quite finite with a number of mini-hotels and local homestays in Yen Bai City, Nghia Lo and Mu Cang Chai. Thus, you should book your accommodation prior to your Mu Cang Chai trip, especially travelers flock into the site at weekends. The price is relatively low, from $US 6 per person per night. Following is the list of accommodations for the reference of your Yen Bai tours. 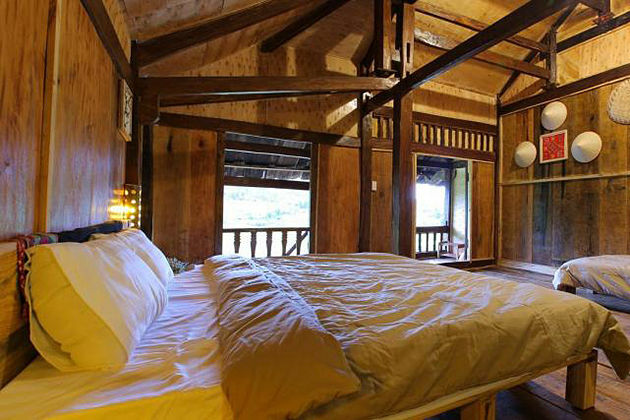 The lodge consists of 7 beautiful designed bungalows that are part of traditional houses on stilt. Its neo-renaissance style furniture is elegantly decorated with unique wooden floors and comfortable amenities.